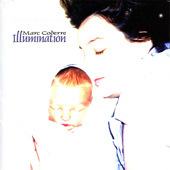 Illumination is the debut CD from Marc Coderre, a veteran of St Joseph’s choir since 1989. This is a musically eclectic collection of 15 songs featuring six new songs – three by Marc and three more made in collaboration with his brother Michael. Also included are selections of some of Marc’s favourite religious pieces by John Michael Talbot, Kathy Sherman, Bob Dufford, and Michel Guimont. But the centerpiece of the album is the Easter Exultet originally composed by Michael Coderre in 1988 but never recorded in the studio until now. For this special project Marc has assembled an impressive line up of some of the most prominent singers and musicians to have been part of St Joseph’s Choir in the last three decades. The album has a strong Easter Triduum theme and initially it was to be titled “Passion”, but since then the theme and song selection was broadened. The overall theme is light. The search for light in time of darkness is a metaphor for hope in troubled times. This theme is as relevant today as it ever was. Musical composers: Marc Coderre, Michael Coderre, John Michael Talbot, Kathy Sherman, Bob Dufford, Michel Guimont.